This trip was epic! 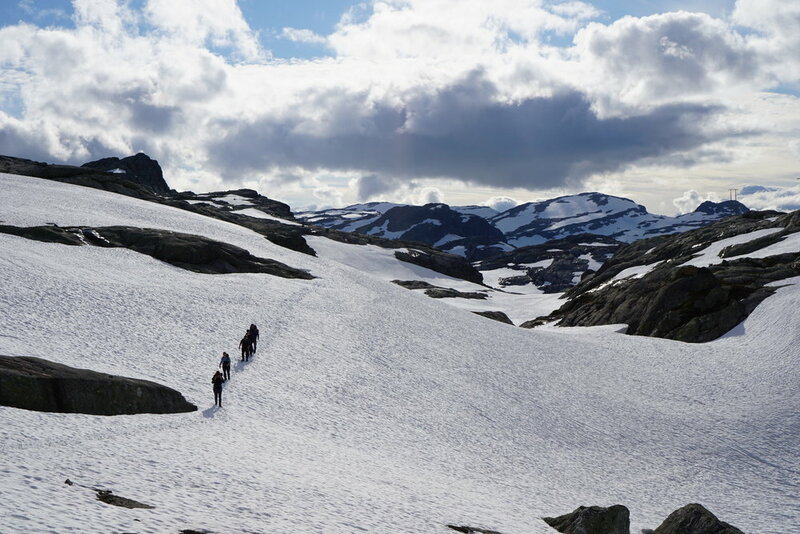 If you love hiking, adventure & a challenge then book a tour with Trolltunga Adventures. We went on a 2 day tour (Long March) with 1 night overnight camping, I would recommend this over the one day trip to see Trolltunga. You get to walk away from the trail everyone else takes and hike in some of the most stunning & dramatic landscape I have ever been to, including the famous Trolltunga tongue, when you see it with your own eyes, it is breathtaking. There were 10 people in our group which was large, and everyone agrees the trip was made extra special by our 3 guides, Thomas, Stian & Tobias. They really looked after us & went above and beyond to make sure we were comfortable & fed very well, they even brought us breakfast & coffee in bed in the morning, it was very welcome!!! If you are thinking of going I couldn't recommend these guys highly enough, go for it!! !